I love the colors of the postcards of this era...a peculiar subdued brightness. I can't describe it. The words "romantic nostalgia" are precisely right for the image. Yep, I really like those colors, too. 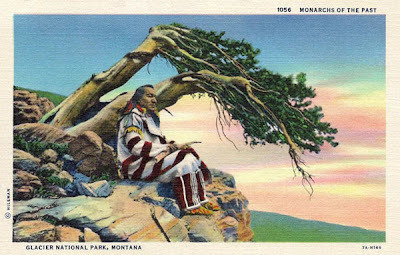 This was almost certainly a black-and-white image that had been hand-colored for postcard reproduction ... that's how most of them were back then, and I love the way those look.